My boys went on a big camping trip (again) this summer. But right before they left we picked pounds of fresh strawberries. 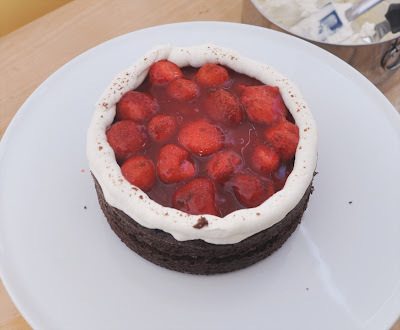 So, I made this chocolate-strawberry cake to welcome them home. 2 cups fresh or frozen strawberries. (One cake mix makes three 6" rounds. I used only two of the layers for this cake. Freeze the third.) 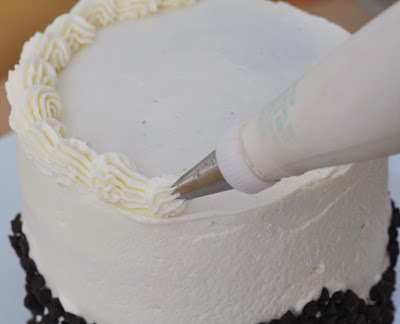 Cut each cake into two layers for a total of four cake layers. Combine the sugar and corn starch in a small sauce pan. Add strawberries. Stir to coat. Place over medium heat. Cook until the sauce is thick and no longer cloudy. 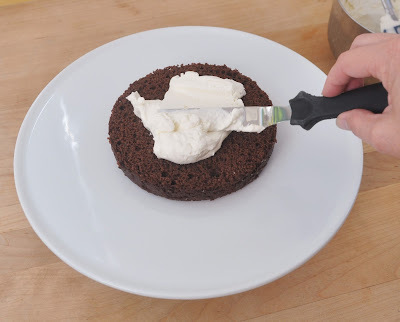 Set aside 1 cup icing for borders and icing dam. 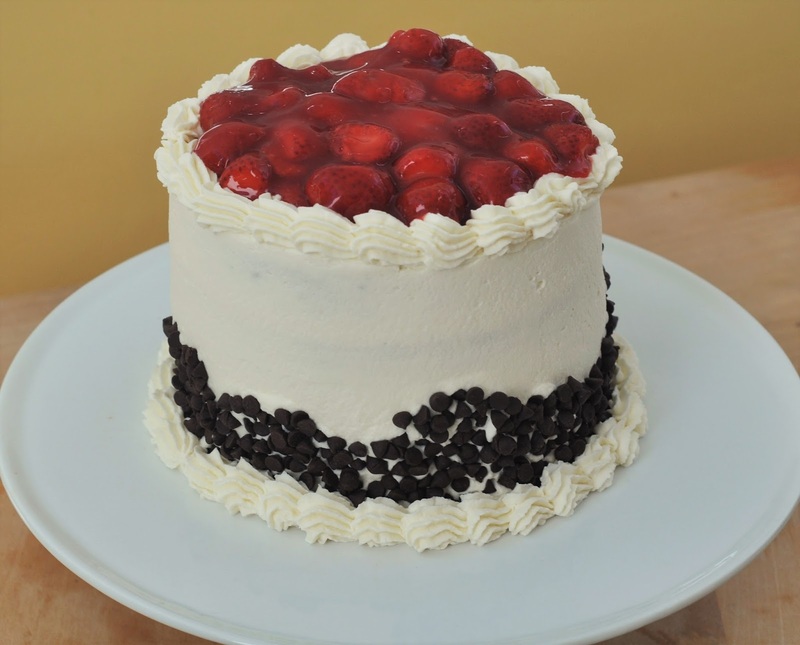 Layer the cake: cake, icing, cake, strawberry filling, cake, icing, cake. *Don't forget the icing dam on the strawberry filling layer (as seen in the photo above). Cover the cake with a thin layer of icing. 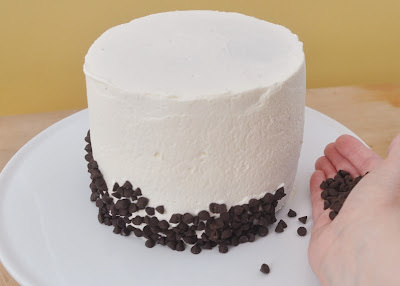 Press mini chocolate chips into the bottom edge. Yummy!! 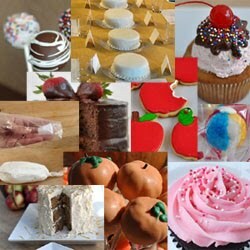 Looks super delish and easy to make! Thanks so much for sharing!